It's the time again when the geeks face the flicks - Geekfest! On April 28th 7PM, let's mingle to the jungle as we socialize, share and like each other's ideas in real life. This will also be the last Geekfest to be held at its birthplace - The Shelter in Al Quoz. This edition will feature Mobile Apps Showcase, GeekTalks about World Bloggers Day, MidEast Post, Voila Dubai and The Angel of Peace. It will also feature The Biggest Picture in the world. We’re putting on a mobile showcase for app developers: we’ve invited some of the leading mobile applications developers in Dubai to showcase what they’re up to at GeekFest – including ishopaholic, CareZone, ME360, Aramex Shop and Ship and more! They’ll be demoing apps as well as answering questions about platforms, markets, opportunities and whatever else you want to bug them about. In Aramex’ case, this is the first time their new app will be shown in public – it’s literally fresh from the coding shed! What are we going to do about bloggers? Ion Gonzaga is by passion and profession a web designer, as well as being a keen blogger and online socialite. He’s been tapped by World Bloggers Day to raise the word among the UAE’s bloggers. How do you want to mark World Bloggers Day? Any ideas? Ion’s looking for feedback and participation alike during this GeekTalk session! If you’re interested, you can check other countries' agendas at www.worldbloggersday.org. There’s already a page created at www.worldbloggersday.org/dubai! Blog aggregator, voice of the region, the Arab Huffington post or an online newspaper? MidEast Posts represents probably the most diverse and vibrant reading from around the Middle East every day. Co-Founder David Westley takes us through the voices of bloggers from around the region and how MidEast Posts plans to represent those voices. 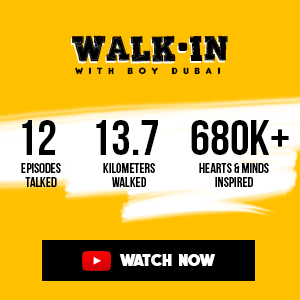 Voila Dubai is a new initiative that plans to bring the city to life through reviews of its places to go and things to do – sharing consumer feedback within a community. Narain Jashanmal explains the idea behind the site – and takes a look at the development of the region’s new digital platforms and innovations. Malaak, Angel of Peace, is a highly popular Lebanese cartoon strip created by Joumana Medlej, the prolific multimedia and digital artist and graphic designer. The strip has gone from strength to strength, growing in popularity as it has in scope – and is now in its fifth book. 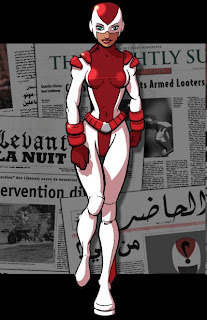 Joumana’s travelling from her native Beirut and will be be talking about the story behind Malaak as well as looking at the innovative online fund raising methods she’s now using to fund the new book of the Malaak story. What do The Next Web, Engadget, CNET, Wired, Gulf News, Gizmodo, Geek.com, The Independent, Popular Science, Petapixel, and countless other websites and publications have in common with HH Sheikh Mohammed Bin Rashid Al Maktoum? They all covered Gerald Donovan’s amazing panoramic image of Dubai’s skyline (Sheikh Mohammed on his Facebook page!) – at the time of its creation, it was the world’s biggest digital photograph. The 45 GIGApixel image was stitched together from thousands of zoomed images into one enormous, incredibly detailed image. To celebrate the first anniversary of its digital unveiling, Gerald has re-rendered the image using the latest software to correct stitching errors in the original version. And now - for the first time ever - it's being printed. There will only ever be ten copies printed, each one something like an incredible twenty feet by four feet. The first signed print, numbered 1/10, will be auctioned for charity, and it’ll be on show for the first time at GeekFest. What we want to know from you is WHICH charity should it be sold off for? Powered by tbreak.com, who are also the team behind GeekFest Abu Dhabi, GameFest will feature, once again, the chance to act like a fool or kill people or even both! There is no registration, no formality, no requirement of you other than to turn up and even that's optional. As usual, catering from the wonderful folks at LimeTree Café! There’s bound to be some other stuff cropping up, so do feel free to keep in touch – you can follow @GeekFestDubai on Twitter or find us on Facebook. If you've never been to The Shelter before, there's a map (as well as a funky GeekFest video) on the Shelter website here. Alexander is a communications, public relations and marketing consultant specialising in the Middle East telecommunications industry, particularly in the launch and operations of leadership operators in competitive markets.